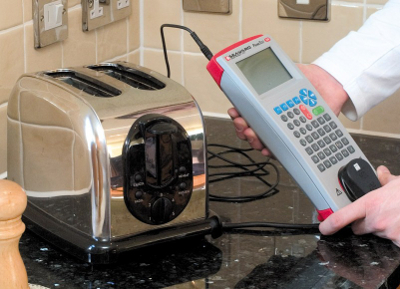 What is PAT - Portable Appliance Testing? According to current Irish regulations (S.I. No 328 of 2005, S.I. No. 299 of 2007), every employer is obliged to periodically test any electrical appliances at the workplace to determine whether equipment is in safe condition to use by employees, customers or public who may come into contact with those appliances. This includes all electrical appliances with a plug top: I.T. & office equipment, kitchen equipment, hand tools, extension leads. test results have to be recorded and kept at least 5 years. Noncompliance to the above could result in penalties imposed by HSA inspections ! calibration, testing, training or hire of testers.